Tom and Joe have been together for years. And to some extent, have been together alone. 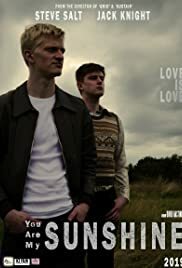 You Are My Sunshine charts their humble beginnings in a world only just waking up to homosexuality, to present day, and a world facing their elder selves. As present day brings further conflict as well as the potential change in the air, Tom and Joe's story will be shown from its first monumental day all the way to its loving last.